On Wednesday the Ministry of Community Development and Gender Affairs invited institutions as well as the general public to join in and stand out as advocates on behalf of children in the federation by wearing blue. Wednesday 21st November was designated as “Wear Blue” day. 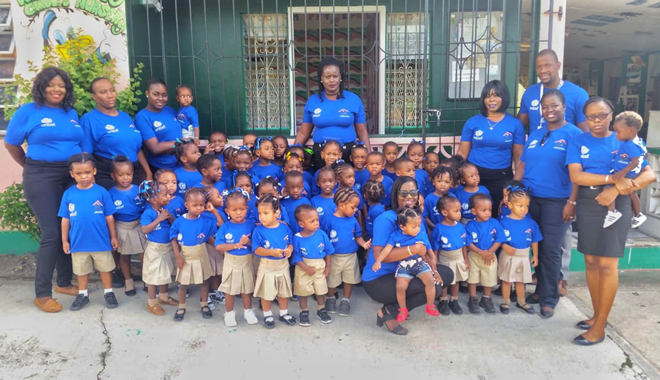 It’s an annual event organized by the Department of Probation and Child Protection Service where persons are encouraged to wear blue to show their solidarity with ending child abuse. Wear blue day falls under the observance of Universal Children’s Day on November 20 under the theme is “The Future of Tomorrow are the Children of Today”.